Hop Dang is an arbitrator and academic based in Hanoi, Vietnam. 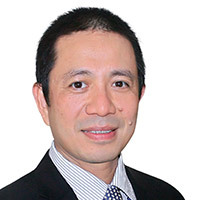 Before setting up Hop Dang’s Chambers in Hanoi, he was a partner at Allens for many years with a strong practice in cross-border infrastructure projects and international commercial arbitration. He advised the Vietnamese Government in drafting the Law on Commercial Arbitration 2010 and has acted as arbitrator in many cases at the Singapore International Arbitration Centre, the Swedish Chamber of Commerce, the Vietnam International Arbitration Centre, the ICC, the Finland Arbitration Institute and elsewhere. He has taught in law schools in Vietnam, Singapore, Japan, Australia and China. He holds law degrees from both Vietnam and Australia and wrote his doctoral thesis at the University of Oxford on the choice of international law in state contracts.